Echo Boy by Matt Haig — YA sci-fi set in a future world where climate change and technological advances have changed life as we know it, and Artificial Intelligence is starting to blur the line between ‘human’ and ‘machine’. 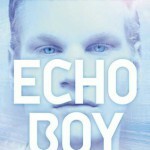 Echo Boy is action-packed, but also poses lots of questions about ethics and what makes us human. I really enjoyed it. 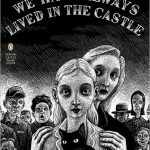 We Have Always Lived in the Castle by Shirley Jackson — Literary psychological horror about the surviving members of a family after multiple-murders by arsenic poisoning. An odd, quietly creepy little novel. 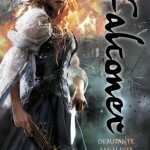 The Falconer by Elizabeth May — YA steampunk fantasy. I picked up a copy at YALC. The Falconer is about an aristocratic eighteen-year-old in 1844 Edinburgh who has society’s expectations to battle, while living a double-life as a faerie hunter. I don’t always gel with fantasy, but I thought The Falconer had lots of originality and charm. 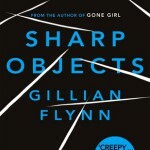 Sharp Objects by Gillian Flynn — Adult thriller about a reporter investigating child murders in her old home town. Dark and disturbing, but well written and hard to put down. 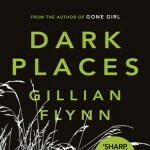 Dark Places by Gillian Flynn — Adult thriller / murder mystery. Just as clever as Sharp Objects. Flynn is a very talented writer — her characters are 3D, and she’s great at foreshadowing, so the final twists are unpredictable yet believable. Dark Places and Sharp Objects are very dark, though — I gave both books to a charity shop after finishing, as they’re a bit too disturbing for me to want to keep! 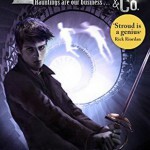 Lockwood and Co. #3: The Hollow Boy by Jonathan Stroud — YA paranormal. I really love this series. This instalment felt a little less well-rounded than the previous two books, but I assume it’s preparing the ground for book 4. Highly recommend these books. My True Love Gave to Me: Twelve Holiday Stories edited by Stephanie Perkins — Festive YA short story collection. Loved lots of the stories, especially those by Kiersten White, Gayle Forman, Rainbow Rowell and Stephanie Perkins. Diverse characters and a variety of genres. 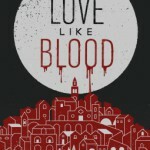 A Love Like Blood by Marcus Sedgwick — Adult mystery thriller. The main character witnesses a man apparently drinking a dead woman’s blood, which sparks a decades-long obsession to hunt down the vampire/murderer. A Love Like Blood is no action novel, but instead a psychological, gothic tale. Slow-paced, relentless, yet oddly compelling. 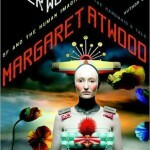 In Other Worlds: SF and the Human Imagination by Margaret Atwood — Non–fiction essays about sci-fi fiction, its history, and what it says about us. Rather academic, but very readable. Sci-fi is sometimes considered less ‘worthy’ than other types of fiction, but Atwood makes a convincing argument for its importance, and that makes me happy. 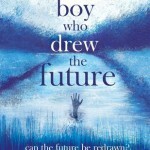 The Boy Who Drew the Future by Rhian Ivory — YA fantasy about two boys in the same village who can predict the future, one boy living in 1865, the other in the present day. Has the feel of a children’s classic. I especially enjoyed the 1865 narrative. A Boy Called Christmas by Matt Haig — MG festive fantasy. 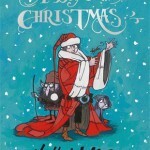 A magical Father Christmas origins story, with all the warmth and heart I associate with Matt Haig’s books. The book itself is gorgeous, with beautiful endpapers and illustrations. 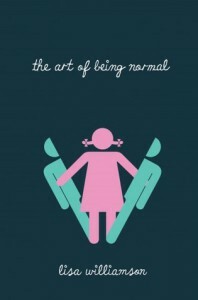 The Art of Being Normal was one of the most talked-about books of 2015, so I nabbed my sister’s copy over Christmas break to see what the fuss is about. I knew it would be good from a diversity standpoint, especially the handling of transgender issues, but didn’t expect such a compelling story. Lisa Williamson writes *so* well, her characters are far from perfect but so likeable, and I can’t wait to see what she writes next. What was your favourite book of December? I read We have always lived in the castle last month. I found it weird, funny and decidedly odd. My favourite book of December was The last of the Spirits by Chris Priestley. A classic in the making. Thanks, Gill! The Last of the Spirits sounds fabulous — I missed reading it this Christmas, but will put it on my TBR for Christmas 2016!